DOLE Central Luzon Regional Director Zenaida Angara-Campita reported to Labor Secretary Silvestre Bello III that 164 representatives comprising owner and human resource managers attend the event. “We have kicked-off our series of orientation on this new OSH Law in order to educate our employers and workers here in Central Luzon on the importance of adhering safety practices at the workplace and let them know that deliberately evading these rules could penalize them,” RD Campita, explained. 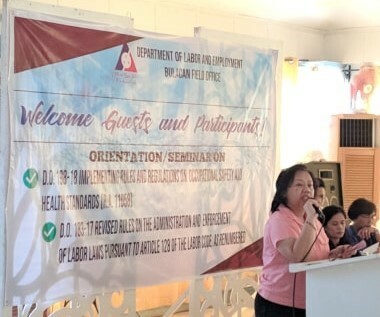 Sr. Labor and Employment Officer Queenie Therese Espinas of the DOLE Bureau of Workers with Special Concerns formally presented the new OSH Law. Espinas highlighted the salient features of the law which include Duties and Rights of Employers, Covered Work Places, and Employer’s Responsibilities and Liabilities, among others. Meanwhile, DOLE Bulacan head May Lynn Gozun discussed the Revised Rules on Administration And Enforcement of Labor Laws Pursuant To Article 128 of the Labor Code, as Renumbered (DO 183-17). The orientation served as an eye opener on the value of safety and health practices at the work place said Jackilyn Arcela of Avi Manufacturing Corporation. “We are thankful that the DOLE and the BWC joined forces to further educate us with this new OSH Law and rest assure that we will give our utmost cooperation and support this by making safety a way of life within our organizations,” Arcela said. 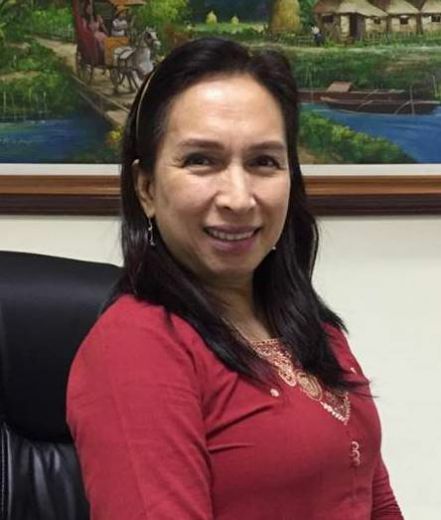 Arcela is the Vice Chairperson for Management under the Bulacan Provincial Tripartite Industrial Peace Council, whose member firms attended this event. The same orientation was initially held for various locators at member Indusrial Tripartite Councils at the Clarkfiled Freeport Zone earlier this month. Other series of training and orientations will continually be done as part of the Department’s commitment for protection of the rights of workers and employers a well.